I read the advance reader copy in May and hope to have him on my talk radio show soon! I tell you it is worth the read as it may lead you to a more charmed life! 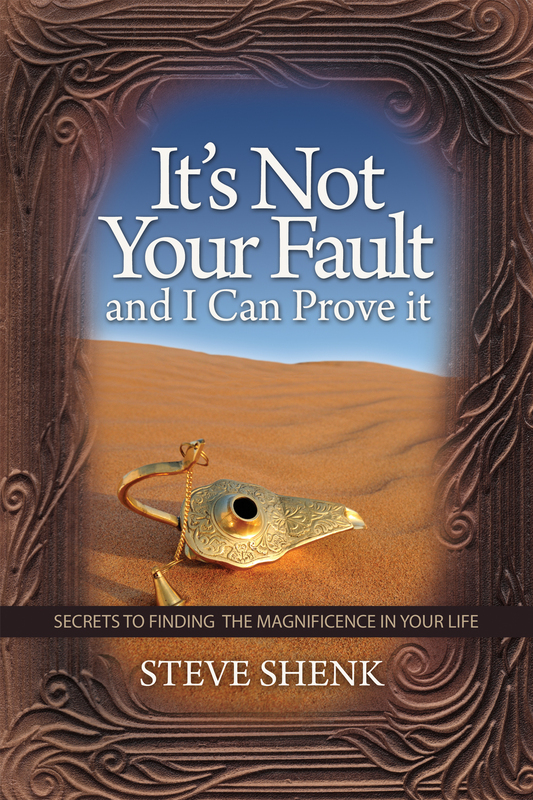 It’s Not Your Fault by Steve Shenk is a compilation of wisdom gained from his years of experience with people and relationships which shares the secrets of prosperity, success, and the great life. It’s Not Your Fault illustrates a series of interactions between Michael, who is a personification of everyman, and The Guardian, who represents the Wisdom of the Ages. The Guardian guides Michael through the secrets to finding wealth, abundance, prosperity, and independence.